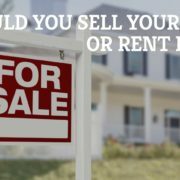 When you need to move out of your home, should you sell it or rent it out? Keeping your home as a rental investment can be a great long-term investment plan, but you shouldn’t do it without knowing what you’re getting into. With help from a good property management company, Fort Worth landlords can decide if they want to sell or rent. Equity: if you do not have much equity in your home it might be a good idea to rent it out while you build that equity. This is especially true if home values in your neighborhood are rising. Rent values: often the rent money you bring in will more than cover your mortgage and other rental-related costs! Look around the neighborhood at what comparable properties are renting out for. Investment diversity: Your investment portfolio should be diverse, and owning a rental property is one way to diversify. Rental property can be an excellent long-term investment. Know your local, state, and federal housing laws. Even some HOAs have rules about renting out your home. 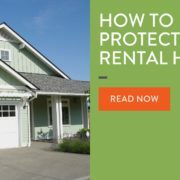 Make sure you know if any of these rules will hinder your ability to rent out your home. Make sure you have enough cash. Vacancy days and maintenance are the biggest costs to landlords. Make sure you have enough cash reserved to cover the time it might take to get a tenant in your home. Set aside money each month to cover periodic maintenance issues. Hire the best Fort Worth property managers. A good property management team will help you make a better return on your investment. Specialized is the property management company Fort Worth landlords have trusted for almost 30 years because we know the ins and outs of property management. When you are trying to decide if you want to sell or rent out your home, let us help you. To hear more about our services call our office today! The holiday season is upon us which means your tenants will probably be traveling soon. Whether they are gone for one day or one month, you need to make sure your rental home is safe and secure during the vacancy. Your Fort Worth property managers at Specialized can help you talk with your tenants about taking steps for safety during their vacation. Check the locks on all your doors and window to make sure they are locking property. With a professional property management company, Fort Worth rentals are safer because they undergo regular scheduled maintenance like checking doors and windows for safety. Do what you can to make the home look occupied. Ask your tenant to leave a light or radio on, or buy a timer so that lights, television, or radios turn on and off periodically to make it look like someone is home. If your renter will be gone for an extended amount of time suggest they hire a house sitter, or ask a neighbor to drop in every day or so. Make sure the communication is clear and open between you, your tenants, and your property managers. Ask your tenants to let you know if they will be out of town. Communication is easier when you hire a professional and experienced property management company. Fort Worth landlords trust the property managers at Specialized in part because our managers know how to communicate with renters effectively. Chances are you are also traveling this holiday season. When you hire the professionals at Specialized you can relax and enjoy your holiday knowing your home is being taken care of. With our online owner portal you can check in on your rental home from wherever you are. For more information call Specialized Fort Worth today! 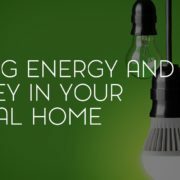 Following these energy saving techniques in your rental home is not only good for the environment, it is good for your pocketbook. With just a few simple steps you could save hundreds of dollars per year on your energy bill! Share this list with your landlord to see if they can help or have any more tips to make your home energy efficient. Switch out all light bulbs, or just your the most used ones, for more energy efficient bulbs. Turn off lights every time you leave a room to save even more! If you need a room air conditioner, compare ENERGY STAR qualified models that use less energy than standard models. Installing a programmable thermostat will help with your heating and cooling costs because it automatically adjusts the temperature when you are gone or asleep. Remember that electronics account for a large portion of your household energy costs and they could be using energy even when turned off. To be sure you are not wasting energy unplug power cords when not in use, or use a power switch with an on/off button. Choose a short shower over taking a bath and you can save gallons of water. Clean or replace air filters regularly. If you need help with this contact your property managers. Fort Worth rental homes need regular maintenance like this to ensure their homes are clean and up to code. Use curtains to let sun in during cold weather and keep sun out during hot weather. Use your washer’s cold water setting whenever possible to save money on heating hot water. Do not overdry your clothes and hang them outside if possible. Specialized the Property Management Fort Worth Trusts! Specialized Property Management has the property managers Fort Worth trusts for everything from marketing their home to reducing maintenance and energy costs. Our property managers care about making your investment a success which means keeping costs down while ensuring your rental home is a healthy, clean, and happy place to live. To learn more about our full service property management company call today! Fall is almost here. Specialized, the property management company Fort Worth landlords have trusted for over 30 years, wants to share a few seasonal maintenance reminders. When you are proactive about maintaining your home, you keep your property value high and protect your tenants. Costly repairs can be avoided through low-hassle, low-cost seasonal maintenance. This maintenance is key to preserving the life of your cooling and heating systems. With proper upkeep, you can avoid costly repairs that arise from neglect. Simple maintenance of these systems includes: making sure your heating system is in good working order, replacing filters, and cleaning airway buildup. Also, bleeding radiators, covering outdoor AC units, checking basement humidity, and cleaning humidifiers and dehumidifiers should be done when applicable. Fall is a great time to schedule your regular property inspection. These inspections should be used to check the home inside and out. Fort Worth property managers also use regular inspections to ensure lease compliance and check for needed repairs. Proper landscaping maintenance will preserve your property value. This can include tasks like fertilization and pruning. It is also important to remove or trim any plants or roots that come in contact with and could damage your rental property. If your rental property has a wood-burning appliance or fireplace, our Fort Worth property managers suggest you regularly clean and inspect them. Sweeping the chimney, inspecting its condition, and removing any obstructions will ensure the safety of your home and your tenants. Protect your investment property with Specialized, the leading property management company. Fort Worth landlords can rest easy knowing their rental homes are being cared for and protected with our experienced team and proven processes. Give us a call today to schedule your seasonal maintenance.